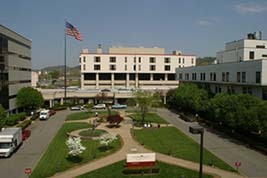 St. Francis Hospital is located in West Virginia's capital city of Charleston. St. Francis Hospital has been a vital part of the community and surrounding area since 1913. It is a 200-bed acute care facility with more than a 290 member medical staff, including primary care and specialty physicians. Our mission at St. Francis is to provide the members of our community with quality, compassionate health care. <> Charleston, West Virginia is a beautiful city that gracefully lines both sides of the Kanawha River. The city has a strong economy and surrounding population of 250,000. West Virginia offers an abundance of exciting outdoor activities including white-water-rafting to hiking, fishing, and has some of the finest ski resorts on the East Coast. Considering it's low cost of living, low crime rate and family oriented attitude, Charleston, West Virginia is a great place to work and live. We invite you to join our team of dedicated healthcare professionals. Visit us as at www.stfrancishospital.com and learn more about us.